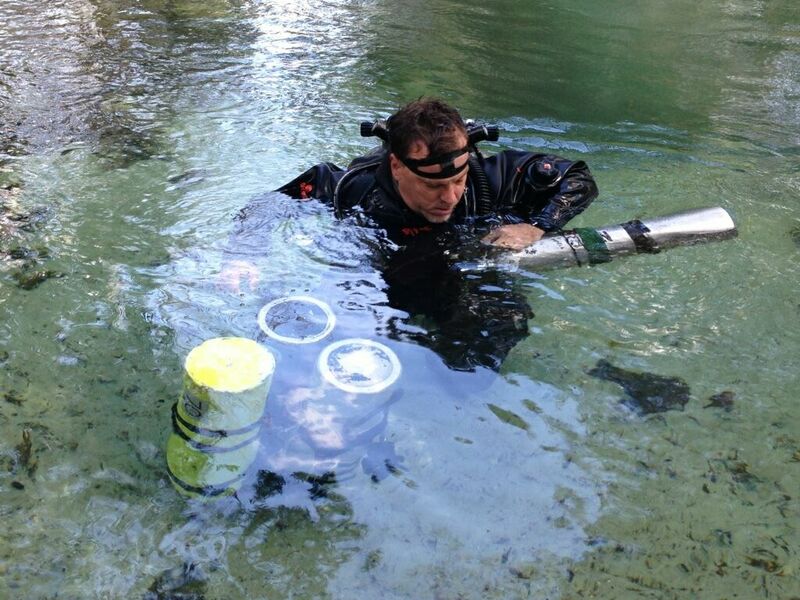 For years, there has been a myth that the best divers in the world are cave divers. In support of that myth, perhaps you have heard that the hallmark of a cave diver is to have incredible buoyancy control, the ability to move through a narrow passage without disturbing the least bit of silt, and the ability to remain calm while facing the most stressful situations. Back when I started cave diving there were pretty much two groups of people that took up the sport. The first group was made up of people that started out as divers that wanted to dive and explore the caves and springs in the area. The second group was made up of cavers that wanted to learn how to dive so they could continue exploring past sumps and partially flooded caves. Every cave instructor that I knew who was teaching during this period was a highly skilled and dedicated cave diver, with years of teaching and cave diving experience behind them. One of the credos of cave instruction was that cave instructors did not try and encourage people to take up the sport, but would steer individuals toward training when those individuals expressed a strong desire to pursue the activity. When discussing the training, instructors focused on the safety aspects of the program rather than selling the sport for other reasons. With the growth of internet forums, including rec.scuba and eventually sites such as ScubaBoard, the stories about cave divers being the best in the world started to grow. As the stories of how great cave divers were, demand for cave instruction increased, and we saw an increase in cave instructors to meet the demand. Some instructors began actively promoting cave training to recruit more students. Unfortunately, this does not always serve the best interests of the students enrolled in these courses, and to my chagrin, I am sure that some people have been encouraged to continue cave training even though they have no business doing so. Because the dangers in cave diving including a risk of death due to failure to perform, some people simply have no business taking up the activity. Cave instructors have a moral obligation to discourage some people from pursuing the sport. Hopefully, every cave diver you ever meet does have incredible buoyancy control, great anti-silt technique, ice water in their veins, and are some of the best divers you will have the pleasure to dive with. But that does not mean you need to become a cave diver to be a great diver yourself. If you live thousands of miles away from flooded caves, and are not drawn to see the cave environment, then you really do not need to take up cave diving. You can develop great buoyancy control, anti-silt technique, and a calm cool demeanor without ever going into an overhead environment if you just put the effort into it. Previous PostPrevious Lights are life support!